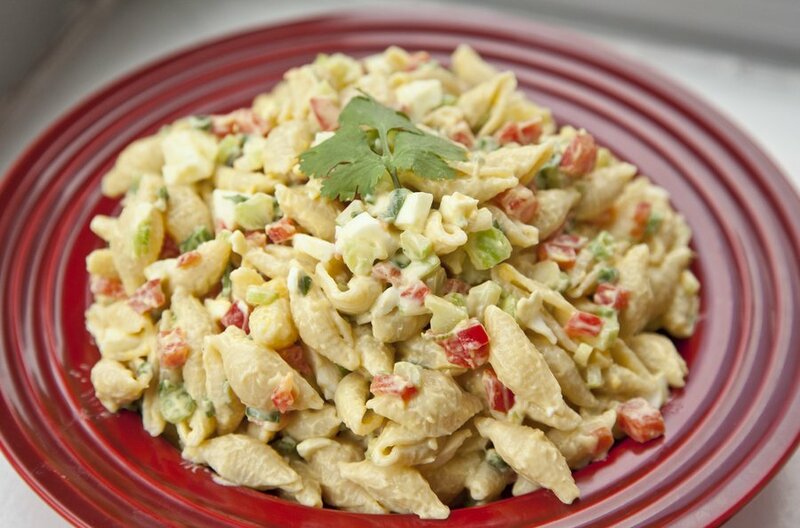 To go with tonight's Pulled Pork Sandwiches, I decided to make a favorite side dish of mine: Macaroni Salad. 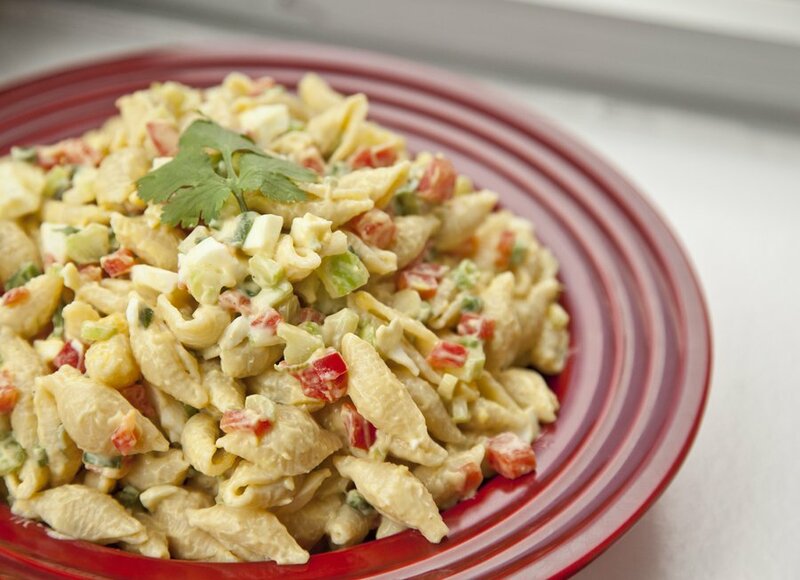 For some reason, I only ever have macaroni salad in the summer when someone has a BBQ or a picnic....but it's too delcious to only eat 1 season out of the year! 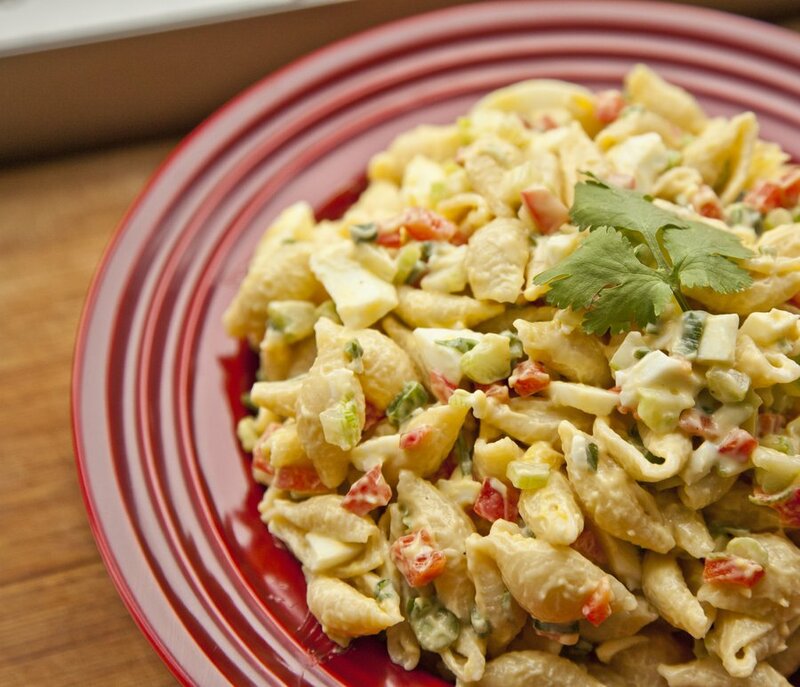 This macaroni salad has a great combination of flavors and textures and is super easy to make. This recipe makes enough for 4 large helpings - but just multiply the recipe by 3 and you'll have enough for a Backyard BBQ Party! Bring a medium pot of salted water to a boil. Add your pasta and cook 8 minutes. Drain in a sieve, and while still in the sieve, lightly run a little cool water over it to cool it off. 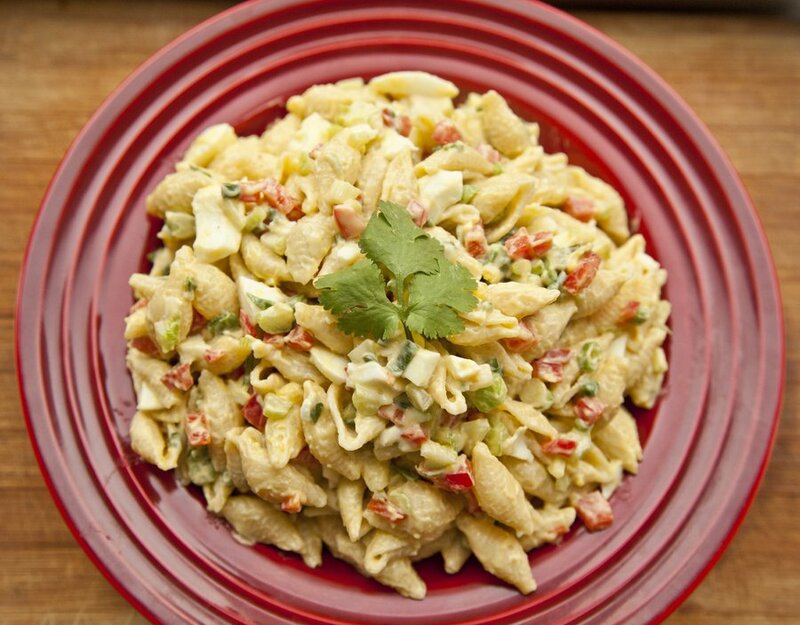 Place the drained pasta in a large bowl. Place two eggs in a pot of water (water covering the eggs by an inch). Bring to a boil and let boil 15 seconds. Remove from the heat and let sit for 12 minutes. After the 12 minutes, place the eggs in an ice bath to cool off. Remove the shell and chop up the hard boiled egg. Add to the bowl of pasta. 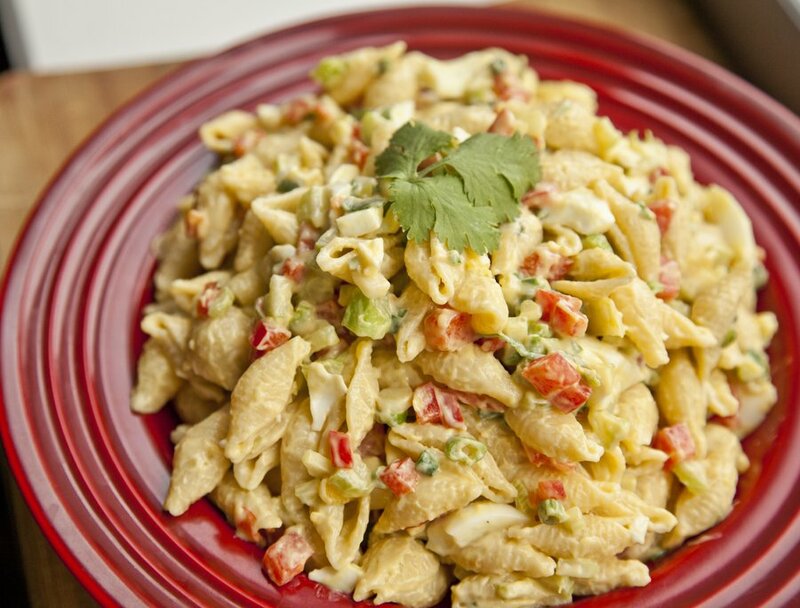 Add in the rest of your ingredients to the pasta and toss until completely combined. Serve cool or at room temperature.